At TerraOlivo, which takes place in Israel each year, thirty judges from Europe, the Middle East, and North America considered samples of oil made from 65 olive varieties. The judges awarded Greek extra virgin olive oils (EVOOs) 3 packaging design awards and 39 quality awards: 8 Gold awards, 16 Prestige Golds, 13 Gran Prestige Golds, and 2 special awards. Bio Cretan Olive Oil Ltd. also has a lot to celebrate. At TerraOlivo, they won Gran Prestige Gold and Best Packaging Design awards for Critida Premium Selection PDO Messara, as well as a Prestige Gold for Critida Premium Selection Organic Koroneiki. Ioannis Andreadakis explained that the Bio Cretan team takes “advice from specialists” on how to best use organic methods to protect the environment, while striving “to implement new techniques in olive farming.” They combine “respect for tradition” with ongoing efforts to improve quality using modern knowledge and facilities. The result: especially high quality, high phenolic Koroneiki EVOO awarded for its health benefits as well as its flavor. 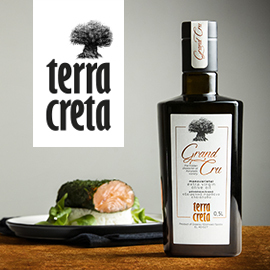 Winning a Gran Prestige Gold this year for a different EVOO from the same part of Crete, Oleum Crete PDO Messara, Kostas Kidonakis has captured awards from TerraOlivo for four years. Helping at his family’s company since he was about nine years old, and now co-owner with his cousin Kostas, he loves olive oil and has learned all about “how to produce an excellent product,” thanks to seminars and experiments with the production process. 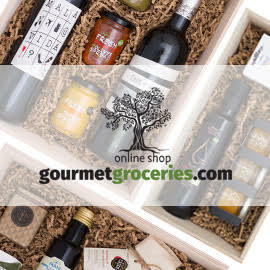 He and his cousin communicate directly with the producers about how to cultivate “perfect olives.” They are constantly at the mill at harvest time, and they respond immediately to customers’ concerns once their especially healthy, high phenolic Koroneiki olive oil is ready to sell. 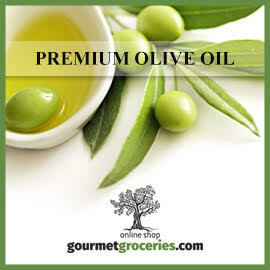 An additional Peloponnesian EVOO, E-La-Won Premium, also captured a Gran Prestige Gold. Very pleased, Ioannis Kampouris and his team feel “even more of an obligation to increase our efforts to produce an even better final product.” To this end, they pay “attention to the smallest detail,” with “devotion and personal presence” at all stages of cultivation, harvesting, production, and storage. This care with their unripe early harvest olives yields awards for “intense fruity aromas like banana, grass, tomato leaves, even almonds” and “a balanced bitterness and spiciness.” The E-La-Won team’s efforts have also been recognized with an environmental award for careful management of waste, and health benefit awards for EVOO so healthy it is used in scientific experiments. Experience, hard work, education, dedication, attention to detail, concern for the environment, health benefits, flavor, and aroma: these create award-winning Greek extra virgin olive oils that deserve appreciation worldwide. For TERRAOLIVO 2018 Best Packaging Design awards, see the competition website. Thanks to Hellenic Agricultural Enterprises for the photos from the island of Lesvos.